Website Design, Social Media Management and Photography- South England. 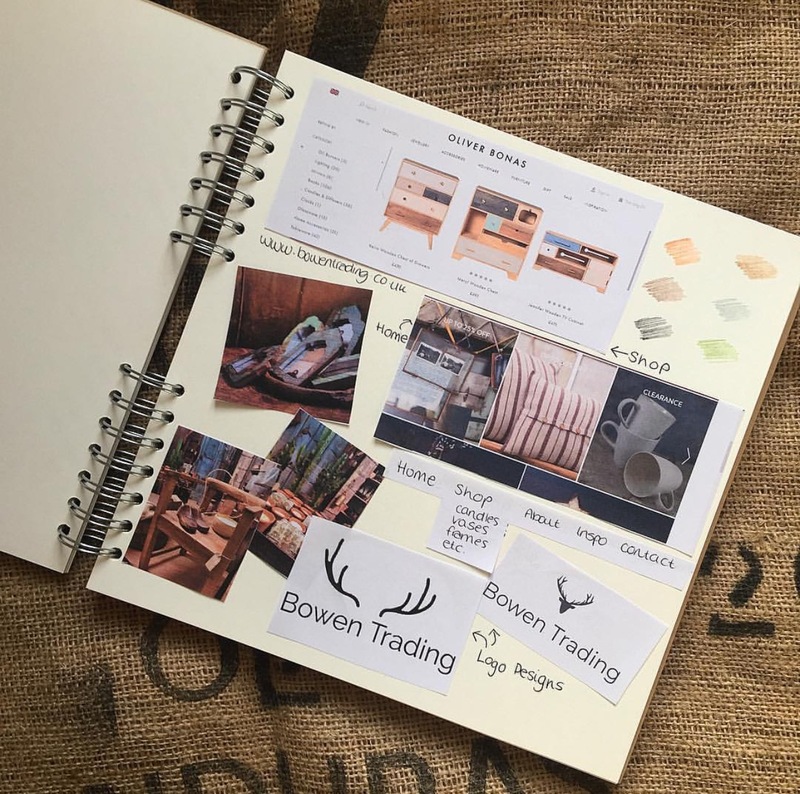 Mood boards are a great way of visualising the design concepts of your website such as the colour scheme, font, navigation and pages before the development stage. It becomes a bit like a scrap book of ideas and means you can change your mind a few times before committing to anything and spending hours re-creating! Start by looking at other websites and finding inspiration. Have you found a few websites that you love? Maybe its the navigation or the layout; take screenshots of your favourites and note what it is you like about each one. Secondly think about what pages you need to have on your website and make a list of them (home, shop, contact etc.). Try arranging them in order or how they should be placed on your website. What's going in the top navigation and what's going at the bottom? Do any of your pages have sub categories? It's important to get this bit right so take your time with it and try and think as if you were the user. Creating a mood board doesn't have to take a long time, but it should help you get a clearer picture of the site you want to create and make the development process even simpler. If you're hiring someone to create your site for you, this is a great way of ensuring they're on the same page as you.